Sports charms are pieces if jewelry which represent your favorite sport. These jewelry items can be anything from earrings to pendants. They come in various styles and forms. These represent not only your favorite sport but are also used as style icons. Sports jewelry can be used as lucky charms also though there is no related reasoning for it. 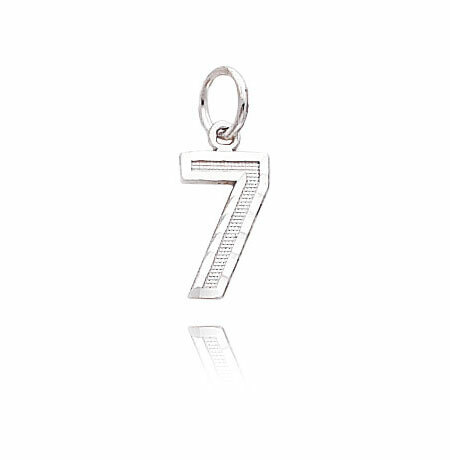 These charms can be found dangling on the ears of fans, hooting for their best sports person. It is the tool to represent what you are and what you like. It can be worn anywhere as an accessory or to a sports event to show your craze for the game. Sports charms can be of various types and kinds. Sports charms are available for all different kinds of sports like baseball, football, cricket, hockey, golf, etc. These charms come in the forms of pendants, earrings, bracelets and even anklets. For example there are charms of football available in locket style. Here the football is made of silver and the black stones are used to create the complete football effect. 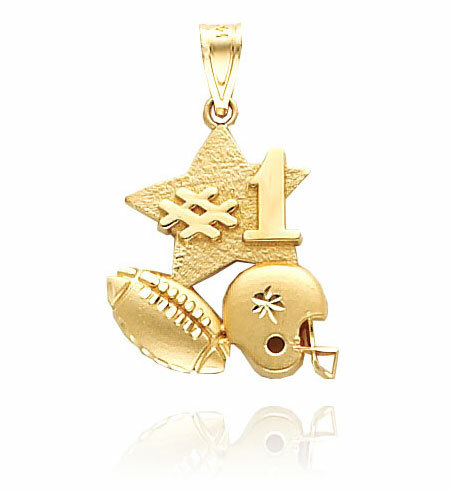 You can use silver, gold, platinum and even other metals for making sports charms. There are sports charms available in leather and other cost effect materials too. You can order these charms a jewelry stores if you are really crazy about the sport and keep it for the rest of your lives. These charms are available online and at local stores. These sports charms are not only used to represent your favorite sport but also accessorize your personality. But yes, don’t wear a baseball earring to a football game. Sports charms are not only restricted to girls but come in a huge variety for guys too. Guys can opt for studs, lockets, brooches and bracelets. The charms for guys come in bigger sizes and shapes. They are usually in silver and gold, after all diamonds are girl’s best friends. 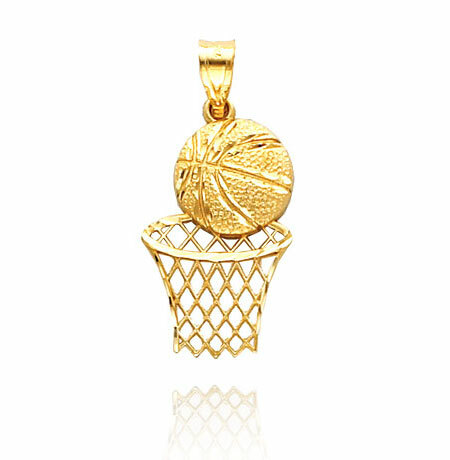 For basketball fans, there are gold and silver charms featuring players, basketball ball and basket. There are basketball player’s charms featuring both male and female players. For the football fans there are charms found in plenty, featuring players, helmets and balls. 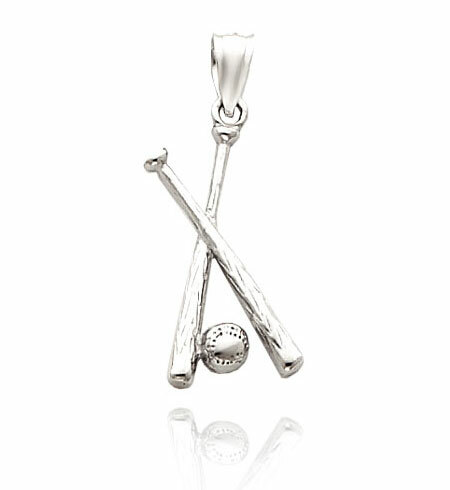 Baseball players and equipment can be made in gold and silver charms. For the hockey lovers the same is available. Apart from these sports charms are available for track and field showing shoes, awards and runners. Water activities charms feature swimmers and scuba diving gold charms. There are also gymnast charms showing several different gymnastic events with gymnasts in many poses. You think of a sport and there are readymade sports charms available for almost everything. 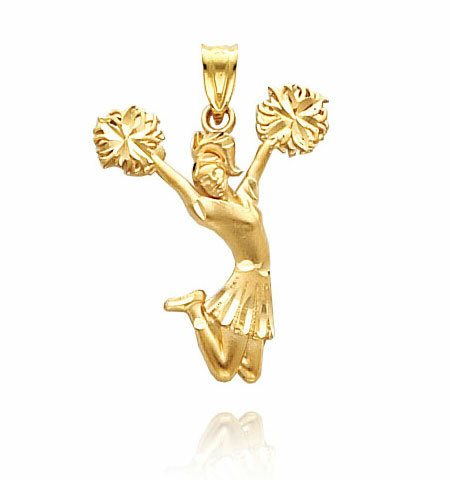 Cheer leaders wear these charms to cheer their teams and bring them some ‘lady luck’. Others use it as style icons and fashion enthusiasts change these sports charms per season and game to represent different sports. These charms should always be combined with right clothing too. If you are wearing Sports pendants to a winning team party then make sure outfit matches your accessories too. Tracks or sports outfits will go well with tiny earrings and lockets. If you are opting for the heavy accessories then choose a more formal outfit to match your accessories. But make sure you don’t go over board. A baseball earring, with a similar locket and bracelet is definitely a no-no. Try and stick to earrings and pendants, or only the bracelet. And wearing a baseball print outfit is the worst fashion statement you can make. How much is the basketball golden necklaces ? ?